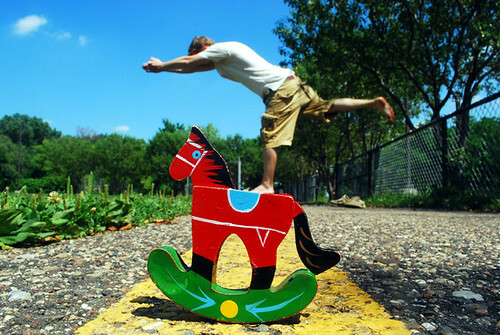 Photo by By Ben Josephs part of Forced Perspective Group Flickr. Shot for the Newsvine Photographers July/August Photo Challenge, Forced Perspective. Rocky was kind enough to let me do some yoga on his back.